Inside Colton and Cassie's Night Clubbing in Vegas Before Red Carpet Debut - celebrities life, news, blogs, photos, gossip etc. 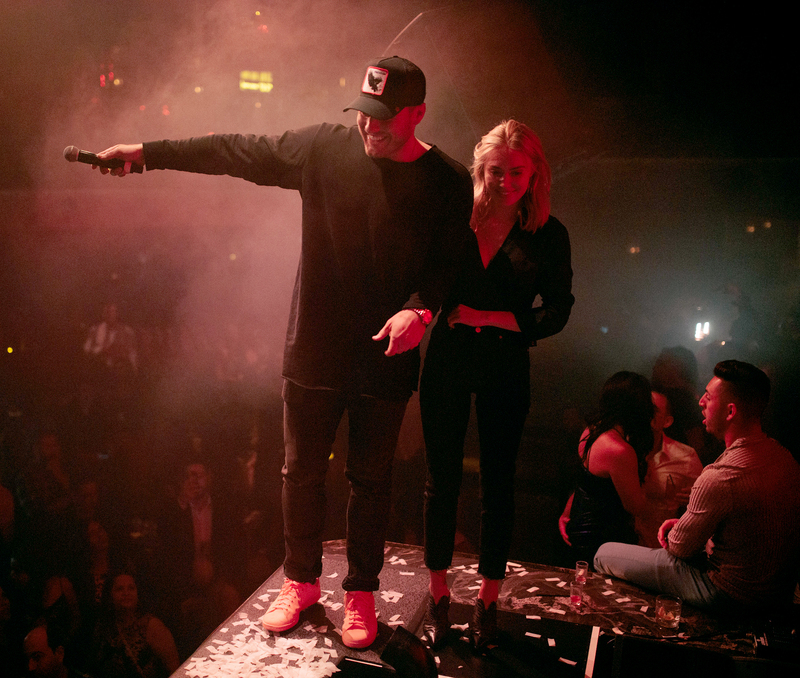 Colton Underwood and Cassie Randolph had all the right reasons for letting loose at JEWEL Nightclub at the ARIA Resort & Casino in Las Vegas on Saturday, April 6. The lovebirds pulled up at midnight with an entourage of 20, including Very Cavallari star Shannon Ford, and left two hours later, according to an eyewitness. They relaxed at a VIP table during their stay and also hit the dance floor while Dee Jay Silver performed. Underwood, 27, sent fans into a frenzy when he and Randolph, 23, jumped on stage during Silver’s set and greeted fans. “What’s up, Vegas?” the former NFL player said before goofing around with the speech pathologist. The former bearer of red roses and the Huntington Beach, California, native continued their weekend festivities at the 54th annual Academy of Country Music Awards at the MGM Grand Garden Arena on Sunday, April 7. They stunned in black-and-silver ensembles on the red carpet, where Underwood also snapped photos of Randolph with a disposable camera. Although the couple strayed from the Bachelor Nation norm by not getting engaged during the season 23 finale in March, they shared an update on their future plans while speaking to Entertainment Tonight on Sunday.